One of the top-performing matric students in the Western Cape for 2018 could not be placed at the universities he applied to because his technical subjects were not recognised. Onke Sibeko matriculated from Delft Technical High School with flying colours: An A+ aggregate in technical mathematics and 72% for technical science. His class was the first to do technical subjects at the high school. But, as Sibeko, 18, would come to learn, his "technical subjects" were not recognised by the higher education institutions he applied to: The University of the Western Cape (UWC), the University of Cape Town (UCT) and the Cape Peninsula University of Technology (CPUT). All three universities confirmed that they had received Sibeko's application. 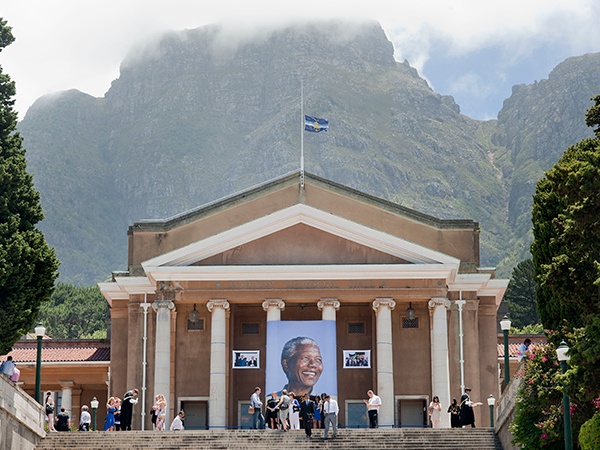 UCT spokesperson, Elijah Moholola confirmed that Sibeko applied for a BSc (Eng) and LLB. He said despite the strong performances in the two technical subjects, Sibeko could not be accepted because the "overall performance was not strong enough" and "technical maths and technical science are not considered substitutes for mathematics and physical science". Sibeko says this is the most baffling part about the whole process. "My [Bachelor's Pass] certificate says I am able to enrol at university but universities are saying they do not recognise the subjects that I did. "I feel like I did all my work for nothing and being at home depresses me," said Sibeko. UWC spokesperson, Gasant Abarder says the university will be providing the student with guidance, through the student enrolment management unit of the university, about options for his future. Western Cape education spokesperson Bronagh Hammond told the Cape Argus that some degree programmes which required a mathematics/science pass did not allow a substitution with a pass in technical maths/science. She said that many tertiary institutions had not yet considered a change in their admission requirements because technical subjects were only gazetted at the end of last year. To keep himself busy, Sibeko says he spends most of his days hunting for work. He received some good news recently: A local logistics company in the Western Cape has offered him three months' worth of training as a mechanical technician. Thereafter, he says he will carry on looking for a job.